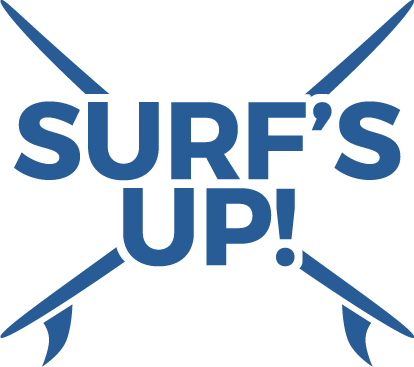 The surfboards were waxed and loaded. The Beach Boys CD was in queue. I was riding shotgun with my husband, Rob, at the wheel. Our kids—Aaron, 11 and Amanda, 9—could hardly contain their excitement in the back seat. We were happily headed to Disney Vero Beach Resort. Last year when we were in Vero Beach, the kids traded in their boogie boards for surfboards. Rob taught them to stand up on the boards while I videoed the wipeouts and, eventually, the triumphs. Returning to the scene of the sublime, this year I was determined to stand up on a surfboard myself. I had, after all, been watching surfing for a year now. I could tell when Aaron was trying to get up too early. I knew when Amanda was getting into a wave too late. I was an experienced surfer in theory—surely I could pop right up myself. Plus, I had a plan B, just in case that didn’t work out. I scheduled in time to experience some of the gorgeous nature the Vero Beach area is known for, despite the rest of the family’s insistence that all they wanted to do was surf. Explore artifacts from the 1715 fleet at the McLarty Treasure Museum. Protected by Florida State law, sea turtle nests dot the beach up and down the coastline. Indian River County was named after the Indian River Lagoon, which runs through the eastern portion of the area where the intracoastal waters separate Orchid Island from mainland Vero Beach and Sebastian. The area claims a slice of mid-eastern Florida known as the Treasure Coast. The Treasure Coast name comes from a fleet of 11 Spanish treasure ships that sank offshore in 1715. The McLarty Treasure Museum, part of Sebastian Inlet State Park, tells the story and displays some of the treasure that has since been recovered. That was our first stop en route to the park’s beach. It’s known, among other things, for loot that still washes ashore, a favorite spot for metal detector-wielding treasure hunters. We spent our beach time on our first day looking for gold doubloons like we’d seen in the museum. As the sun dipped lower, our family discovered another Indian River County treasure of sorts: Archie Carr National Wildlife Refuge. 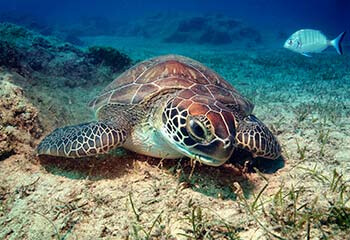 It ranks as one of the most significant nesting beaches in the world for loggerhead and green sea turtles. When we visited its Barrier Island Center, we learned how mama sea turtles return to the exact beach where they hatched to later make their own nests. In June and July, the refuge leads Sea Turtle Watch nighttime programs, where you can witness the long, laborious nesting process of the prehistoric 300-pound creatures. As we quietly walking the beach in the dark—no flashlights allowed—we kept our eyes out for signs of nesting. The first spotting turned out to be a “false crawl,” meaning the mother, for whatever reason, aborted her efforts to dig a nest and returned to the sea. But less than a half hour later, we were to another nesting sight. We watched patiently from behind as the mother slowly, methodically scooped sand with her fins. Finally the miracle happened! The leatherback turtle had excavated the nest to her liking and began dropping what looked like wet ping-pong balls into the hole. As I glanced over at Aaron and Amanda, even in the faint moonlight I could see wonder shining on their faces. 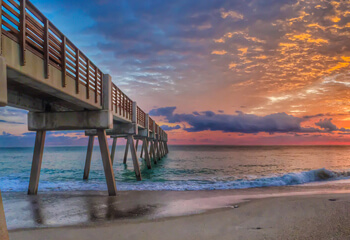 Vero Beach is a treasure trove of activities. Find thrills on exhilarating airboat rides. After breakfast the next morning in the Disney Vero Beach Resort’s sunny Shutters restaurant, we scrambled to the beach. Aaron had already looked up wave conditions before getting out of bed, and it was all systems go! Their excitement outweighed my nervousness. Rob was going to teach me on his board. I’d prepared for this, stepping up my upper body workouts in the weeks preceding. Still, I was surprised how tiring it was paddling into a wave. I’d lie on the board as Rob gave me a little shove into the wave, coaxing “paddle, paddle, paddle.” I’d get to my knees. Fall off. Repeat. The kids were encouraging, but soon deserted me in favor of finding their own waves. We took a little rest so I could catch my breath. When we hit the waves again—maybe it was an extra hard shove from Rob, maybe I finally got into “the zone”—I did it! I stood up! Maybe I didn’t look like a pro, but the score from Chariots of Fire was playing in my mind as I rode to shore and triumphantly hopped off the board. Exhilarated but ragged, I called it a day just in time to prepare for our afternoon plan: an airboat ride on nearby Blue Cypress Lake. I loved the zippy thrill of blowing across the top of the water. It’s almost like flying. The kids loved it too, as tough as it was dragging them off their boards in the first place to get them here. They especially loved trying to spot alligators. We counted three that afternoon. Manatees bob and glide at Indian River Lagoon. 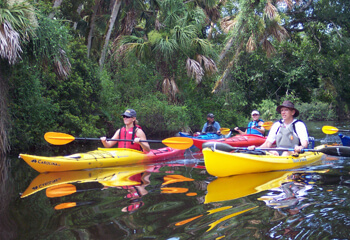 The next day, we opted for the peace of Indian River Lagoon—with its reputation for rich biodiversity—by kayak. We had rentals delivered to Round Island Park, which has beachside and riverside components. We hadn’t paddled long on the Indian River side before we heard a telltale puff. We spun around to see not one, but two manatees in our wake—a mom and her calf. We watched for more than 15 minutes, fascinated by the slow, measured swimming of the gentle giants as they fed on seagrasses in the lagoon. The marine mammals would disappear for a few moments, then pop up again like a cork, with the giveaway puff of air as they surfaced to breathe. Aaron and Amanda made a game out of who could guess where they would surface next. After a while the manatees flipped their tails as if to say “so long” and waded away. Beyond my simple mission of standing up on a surfboard, my family accomplished an exciting nature immersion by surfing, skimming and paddling on the water. We mined the beach for gold and struck it rich with sights of the miraculous. I couldn’t have asked for more. Discover your own Vero Beach treasures!